Chef Mark Ashton has been hard at work on this season's menu which includes some twists on past favourites and other completely new creations. Before the restaurant opens for the season we have a staff tasting lunch which gives our restaurant staff, many of whom have been here for several seasons or more, an opportunity to weigh in on the dishes and figure out the best pairing suggestions. 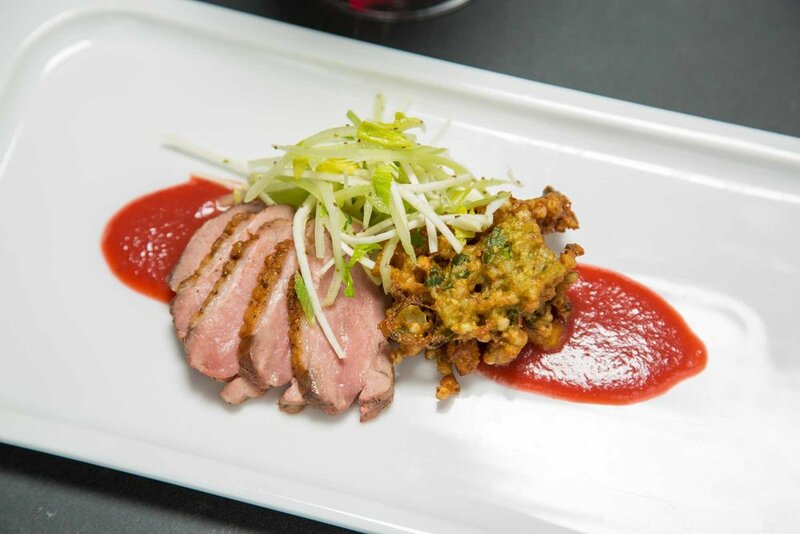 Early favourites this season include the Seasonal Seafood dish, the Braised Rabbit Pasta, and the Duck Breast with Cauliflower and Buckwheat Pakora. Of course our burger is always good for the hunger pangs and should you find yourself in a somewhat compromised state after a night out at the wine events Chef Mark's Braised Wagyu Steak and Egg is a classy way to cure what ails you. Of course our tasting room is now open 7 days a week and our 2015 Pinot Gris, Sauvignon Blanc and Merlot have been recently released just in time for the festival. Enjoy the festival and we look forward to hosting you at the winery soon!